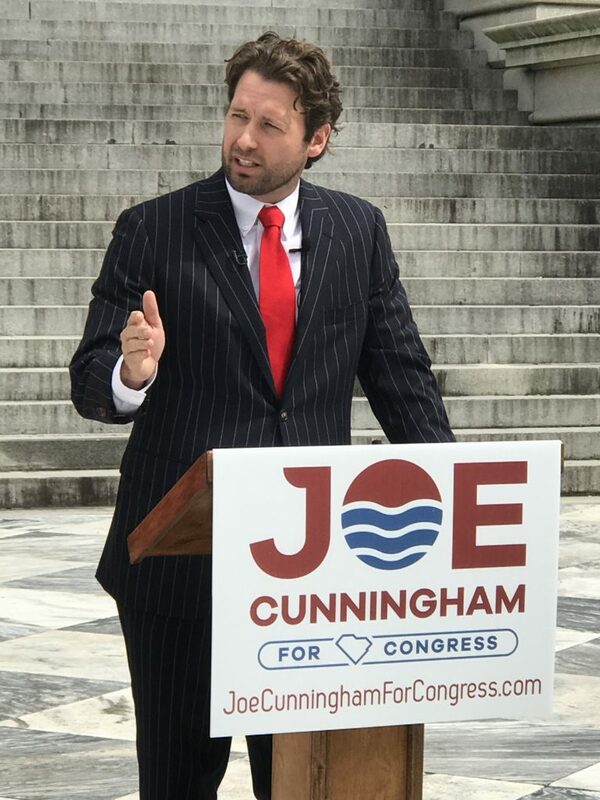 Democratic congressional candidate Joe Cunningham formally launched his campaign for the United States Congress this week on the same spot where his would-be opponent, incumbent “Republican” Mark Sanford launched his own congressional candidacy a quarter of a century ago. 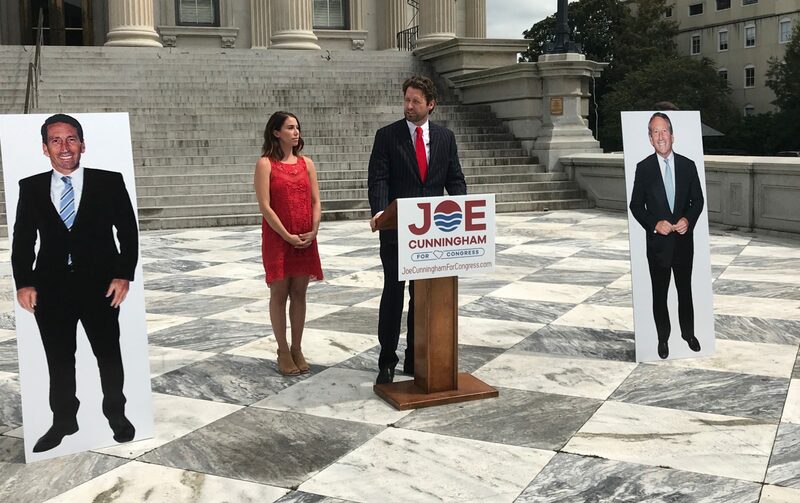 Sanford was present for Cunningham’s announcement at the United States Custom House in Charleston, S.C. too … or at least a pair of cardboard cutouts of the congressman were there. 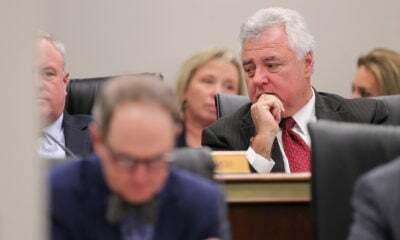 A former ocean engineer who practices construction law in Charleston, Cunningham said if elected he would serve only three terms and refuse PAC money. 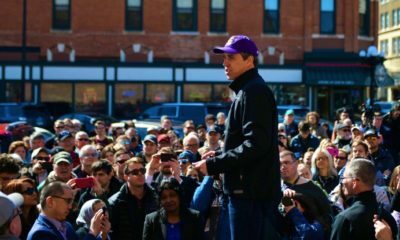 He also vowed to make infrastructure issues in the district a priority. Cunningham is the lone Democrat currently seeking the Palmetto State’s first congressional district seat (map). Sanford and freshman state representative Katie Arrington are the only two announced candidates seeking the GOP nomination for this seat – with Arrington expected to mount a credible challenge against the career politician. 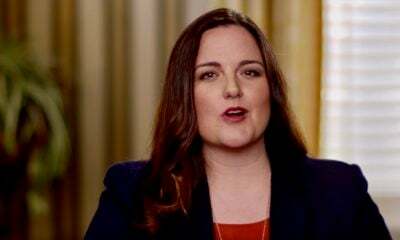 Arrington took the occasion of Cunningham’s entry into the race to mock Sanford for his reflexive attacks on U.S. president Donald Trump. 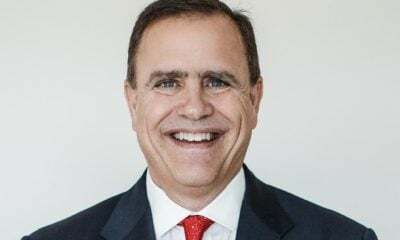 “With a Democrat formally joining this race, we will now have two candidates who will bashing President Trump regularly: Mark Sanford and this Democrat,” Arrington said. After dramatically underperforming expectations in last year’s “Republican” primary election, Sanford has been dogged by reports of a lingering campaign finance scandal as well as unresolved allegations of child abuse involving a young female relative. 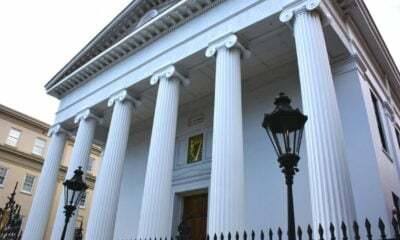 In fact as of this writing, the S.C. State Law Enforcement Division (SLED) investigation into the mysterious June 2016 incident involving Sanford and his niece, who is grammar school, remains open. More recently, Sanford has been ensnared by #NukeGate – the mushrooming political scandal over state government’s abrupt abandonment of a multi-billion nuclear power project. In 2007, Sanford – then in his second term as governor of South Carolina – allowed a bill socializing the investment risk for this controversial project to become law without his signature. More fundamentally, as Cunningham and Arrington have both pointed out, Sanford simply isn’t the same principled official he was during his first stint in Washington, D.C. from 1995-2001. No longer the taxpayer hero, limited government champion he once was, Sanford has become a typical Washington “Republican” (click here, here and here for our reports chronicling this unfortunate evolution).